2:22:28 – Another wild assemblage of sounds from time and space, specifically designed to offer a night radio transmission suitable for all purposes! This time, Orson Welles is the main focus, once again, highlighted by his Mercury Theatre/Campbell Playhouse performance of ‘Dinner at Eight’, featuring Lucille Ball. There’s some classic Vic and Sade, awesome Creative Commons Chiptune and experimental music, the audio collage mastery of Mister F Le Mur, a look at what the Future of Music looked like at the turn of the last century and a few other Orson Wellesian segments!! 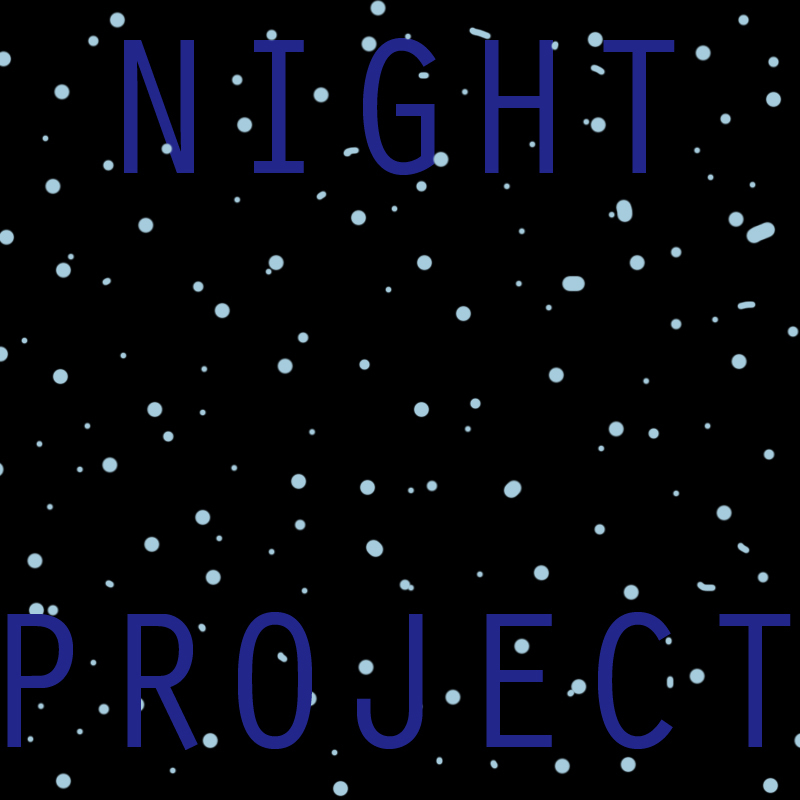 PQ Ribber is your host and archivist for this nocturnal presentation! 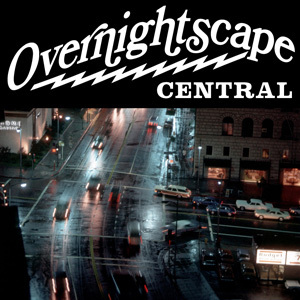 Released May 2011, on The Overnightscape Underground (onsug.com), an Internet talk radio channel focusing on a freeform monologue style, with diverse and clever hosts presenting unique programs, historic archival material, and more delicious content than you can eat, Night and Day! Underclocked (underunderclocked mix) by Eric Skiff is licensed under a Creative Commons Attribution License. Grovel Detector by Mild Maynyrd is licensed under a Attribution-Noncommercial-Share Alike 3.0 United States License. Electric People by Tom Woxom is licensed under a Attribution-Noncommercial-No Derivative Works 2.0 France License. Crash Of The First Interstellar Channel by 2NRO8OT is licensed under a Attribution-Noncommercial-Share Alike 3.0 United States License. Upturned Tortoise Shell by fluidvolt is licensed under a Attribution-Noncommercial-Share Alike 3.0 United States License. 59:54 Thoughts on 69, UFOs, rainy day, Smokey and the Bandit, car problems, 1,200 dollar pipe, delivering with Manny, I read the news today, Oh Boy!, Pitch Pipe Art gets arrested, Tyson and the Lacross ball, doing 69 on Elinor, Scanning barcodes, Fred Norris, Higgins the jog-walker, time passages, going to kids recorder recitial, Hot Cross Buns, Moon Landing- fact or fiction, ceiling fans, parcels, spring cleaning of Special Delivery studio, 2011 Food Drive 5/14/11, moving the mailbox, guesting on Static Radio last week, Ripping down the curtains, Check out Miles and Bob on Static Radio, sounds from my loud car. 27:50 Show Notes: Hyundai Needs Work, Back to Work, 2011 NY Auto Show, Mad Alex Jones, Iron Man 2 Review, Shack Shake, Hamburger Pecking Order, One Year Daily Audio Bible, Earth’s First Family First’s, When Everything Changes, Change Everything, Conversations With God. Released April 2011 on The Overnightscape Underground (onsug.com), an Internet talk radio channel focusing on a free form monologue style, with diverse and fascinating hosts. 2:04:12 – A jam-packed assemblage of awesomeness, highlighted by Orson Welles and the Mercury Theater’s 1939 rendition of Josef Conrad’s Heart of Darkness! But there’s more! Franklin MacCormack’s night poetry from WGN, December, 1970, Americanisms, Mr F Le Mur, 1960 Flying Saucer Convention recordings (details below), Babe Ruth, Henry Morgan, and even a rare, 1958 Jean Shepherd excerpt! PQ Ribber oversees the proceedings from the temporary Rubber Room Annex, in Truth or Consequences, New Mexico. This is Night Radio! Released April 2011, on The Overnightscape Underground (onsug.com), an Internet talk radio channel focusing on a freeform monologue style, with diverse and clever hosts presenting unique programs, historic archival material, and more delicious content than you can eat, Night and Day! 1:16:48 – UFOs are the subject of contributions from Bob Lement of Static Radio and Morning Commute (Links: Bob’s UFO, Black Sphere, ABC Primetime) , Listener Jan Erik from Norway, Mike Boody of Midnight Citizen, an email from Brian Jude of the Brian Jude Show (Links: Terrestrial Extras, The Paranormal View, Out of the Darkness Overnight Brian Jude), Chad from Chadcast, Frank Nora of The Rampler Weekly, and your dazed host, PQ Ribber. 2:35:43 – Welcome to The Rampler Weekly, walking around a mall and drinking espresso, Queens Center, calling Mike and Jay, the old video game collectors meetings, toy stores, let go of the original entertainment plan, reminds me of Woodbridge Center, sushi and french fries, sushi fail, Bleach, Five Guys, Akoo, Duran Duran, music video food court, malt vinegar and ketchup, the 1970s, Arthur Treacher’s Fish and Chips, Maersk Lego, Seattle’s Best Coffee, Maximo Pino gelato, Fila Skele-Toes, Stanley Flask, show phases, sound of an ice cream truck idling, took the subway to Union Square, Forbidden Planet, The Strand bookstore, selling books, magic and costume store, books about malls, 75 Years of DC Comics, long lost used bookstores, the Iron Fairies, Bowery, The Cooper Union, branding, cube sculpture, a girl beggar, Shepheads?, weird new building – 41 Cooper Square, Blue Man Group, The Bowery Boys, VideoGamesNewYork, cat, Invaders of the Mummy’s Tomb, Wipeout 3 Mega Mall, Audiodicals, Toy Tokyo, Kubrick Droids Boba Fett, what do you do with cool stuff once you get it?, Pommes Frites, cool stores, Garou: Mark of the Wolves, rich people, hype, the book, FedFlix, reminiscing, bars that unknown bands play at, locations in The Dark Tower by Stephen King, Other Music, MLB Fan Cave (in the old Tower Records location), virtual spray paint, phases, street photo, looking for a bookstore, found it – Mercer Books, Cheers, Shelley Long, FuzzyMemories.TV, Fringe, Doctor Who, Tomoe Sushi, my old apartment from the 80s, Portal 2 walkthrough, chess stores, Bit.Trip Beat on iPhone, death of Elizabeth Sladen (Sarah Jane Smith on Doctor Who), new pens, death of the Nutella heir, Temple in the Village restaurant is gone, falafel, Weird Al and Lady Gaga, Anakin Skywalker, Dreamcast Magazine, and the other side… A LOOK AT CHILD MENTAL HEALTH IN FILMS (archive.org/details/gov.archives.arc.43349), Snacks’n Jaxson (Bally Sente) (1984), Snap Jack (Universal) (1982), The Dead Rocks – Center of the Universe (creativecommons.org/licenses/by-nc-sa/3.0) found on Jamendo.com, Dolores Project archaeology, Archeaological excavation, McPhee Reservoir area (1978) (archive.org/details/gov.archives.arc.37131), ABM (2616), SuperNova – Electric Garden (creativecommons.org/licenses/by-sa/2.5) found on Jamendo.com, Grand Jury Testimony (May 27, 1998) (archive.org/details/org.c-span.117055-1), Romahichi – So Loud! (Re-Edited) (creativecommons.org/licenses/by-nc-sa/3.0) found on Jamendo.com, Bandage F (8/5/01), Ian Hanclair, Gold Ball (Bally) (1983), Time Machine (Zaccaria) (1983), ELKMONT VALLEY SOLAR ENERGY: Elkmont Rural Village (archive.org/details/gov.archives.arc.37534), CutYourselfAPieceOfCake (1923) by Billy Waterworth (made into MIDI by pianola.co.nz), song “Making Your Way” by Tree Bag Ask (2011), BOB HOPE CHRISTMAS SPECIAL (1967) (archive.org/details/gov.archives.arc.64135), and more from 8/5/01. 15:30– Neal from Ireland shares his vast knowledge of apostrophes, excessively leprechauny Hollywood movies, selling rain in a bottle, the concept of “a hundred thousand welcomes”, the sit-coms “Taxi”, “Cheers” and “Dear John”, Amphibious bus tours, fictional beer in TV shows, Sending wet animation to Korea and Ted Danson, and introduces a lecture from the Into Your Head archives, read by his wife Joanne. 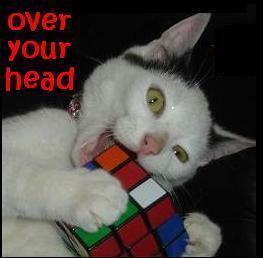 Over Your Head is ONSUG’s occasional offshoot of Into Your Head podcast. United States License. Attribution: by Neal from Ireland – more info at onsug.com and intoyourhead.com. 2:54:14 – The father of night/paranormal radio, Long John Nebel, from February of 1958 (not 1957, as I say in the actual transmission). Arthur C Clarke is one of the guests and the main topic is Flying Saucers! Oh how I wish more of these shows survived but this is a real treat! The new podcast series Bryan Alvarez After Dark is also plugged on this extra-special transmission from the Secret Studios in Truth or Consequences, New Mexico! 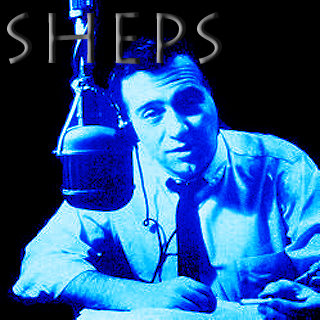 49:45 – Another classic Jean Shepherd show! If you’ve NEVER listened to a Sheps, make this one your first! PQ Ribber hosts! Released April 2011, on The Overnightscape Underground (onsug.com), an Internet talk radio channel focusing on a freeform monologue style, with diverse and clever hosts presenting unique programs and more delicious content than you can eat, Night and Day! You are currently browsing the archives for the 'Apr11' category.